Who says you can’t have it all? Moorestown, New Jersey, offers its residents the best of many worlds: top-notch suburban comforts, excellent schools, sweeping green spaces and farmland, and a strong community spirit — all within a 30-minute drive of Center City Philadelphia. 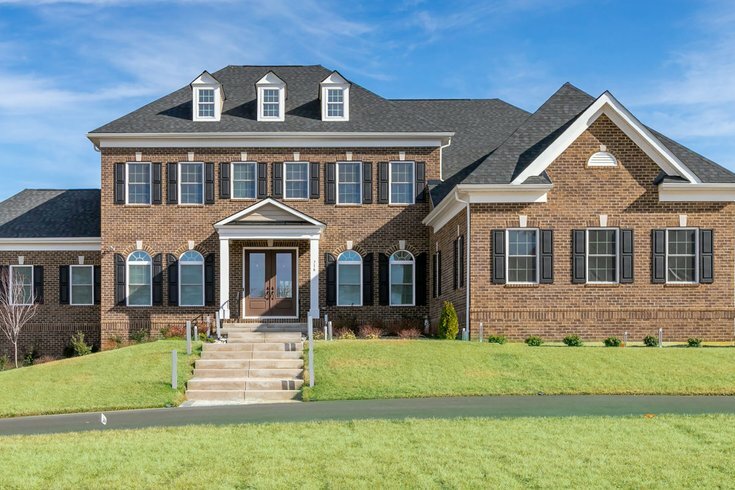 Together, these amenities make Moorestown one of South Jersey’s most desirable locales. In 2005, Moorestown was named the best place to live in the entire country, but it was not content to sit back and rest on its laurels. Since then, the township of 21,000 has been ranked as South Jersey’s “Top Town” in NJ Monthly’s 2013 list of best places to live and it continues to evolve year after year. So what exactly makes Moorestown such an attractive place to live? Let’s take a trip through this historic community to find out. Few places marry the old and new quite like Moorestown, and nowhere is this more evident than along the tree-lined sidewalks of its charming Main Street. On this quaint thoroughfare, shoppers can browse dozens of small retail shops, art galleries, antique centers, and restaurants, including the Zagat-rated Akira Hibachi and Sushi restaurant. Travel just a short distance in either direction from Main Street, and you’ll find branches of national retailers and eateries. Need to stock up for winter? Trek out to nearby Centerton Square in Mt. Laurel, where you’ll find a Wegmans, a Target, and a Costco, along with several smaller shops. Or head to the Moorestown Mall for world-class shopping, including outposts of Lord & Taylor, Eastern Mountain Sports, Macy’s, and Boscov’s, upscale dining at Firebirds Wood Fired Grill and the Yard House, plus a 12-screen theater complex. Whether you are a diehard “shop local” fan or want the latest trends in your closet, you can find it in Moorestown. Ask any Moorestown resident what brought them there, and many will invariably answer “the schools.” Moorestown prides itself on the strength of its K-12 academics. During the 2000 school year, Moorestown High School was awarded the prestigious Blue Ribbon Award by the U.S. Department of Education — this permanent distinction is the highest honor a school can receive. The township’s George C. Baker Elementary School also received a Blue Ribbon Award. Moorestown is also home to Moorestown Friends School, a private, Quaker-based K-12 institution that likewise received a Blue Ribbon Award in 1992. Moorestown students achieve inside and outside of the classroom. Moorestown High School’s Girls Lacrosse team is consistently ranked nationally: In 2013, the Quakers were ranked No. 1 in the country! MHS’s Theatre Program also receives many accolades. One thing that those passing through Moorestown immediately notice is the bevy of wide-open space. Although Moorestown is thoroughly modern, its outskirts are dotted with bucolic farms and horse ranches that remind you why New Jersey is nicknamed “The Garden State.” These green places are the perfect spot for enriching your mind, body, and soul with a day outdoors. Moorestown’s Department of Parks and Recreation boasts nearly 700 acres of open space, spread across nine beautiful neighborhood parks. And those who really want to escape into nature can venture to Rancocas State Park in nearby Hainesport to explore miles of wooded hiking and biking trails. It’s an idyllic setting for taking in autumn’s brilliant foliage every year! Located in the heart of Burlington County, Moorestown is packed with small-town charm, beautiful scenery, and conveniences on par with the country’s best. And with its convenient location at the nexus of I-295, Routes 73 and 38, and the NJ Turnpike, it’s no surprise that companies like Lockheed Martin, Comcast, Coca-Cola, and the U.S. Navy have chosen to locate here. Philadelphians who are looking for an escape from the city will find that Moorestown is an easy jaunt from downtown. Situated fewer than 15 miles from City Hall, Moorestown is 30 minutes away from Philly by car. But be careful: Visitors frequently become so enchanted with Moorestown’s historic charms that they never want to leave!